Hello, long time no post! My apologies, but it was an intense semester that I'm proud to say I completed with great grades. I'm so happy that summer is here and things are a little more relaxed for me. A while back I posted about how I had purchased what I thought was a spaghetti squash, but it was actually a pumpkin squash. #Fail. Well, I decided to try again and found what I've been looking for. 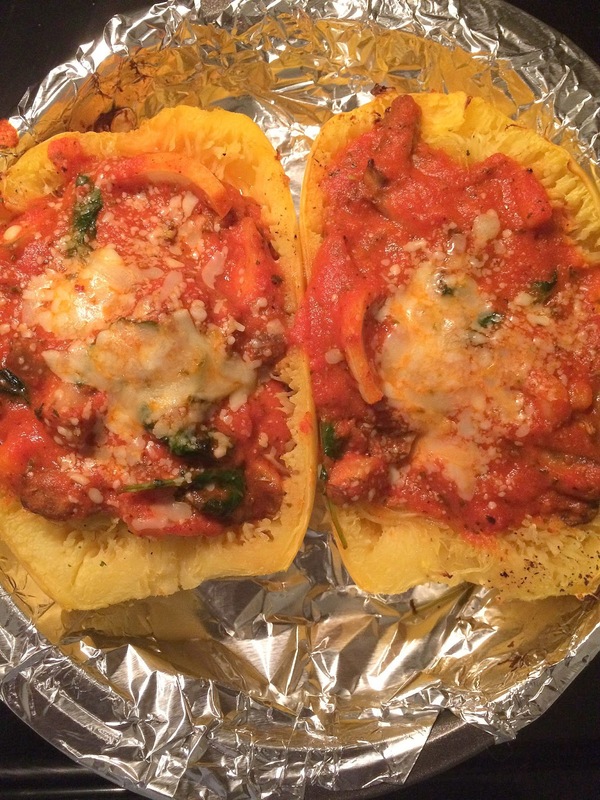 Last week, I purchased two spaghetti squash from the grocery store. For the first squash, I used this baking method that I saw on Buzzfeed. I decided to make this squash into a healthier version of spaghetti and tomato sauce. 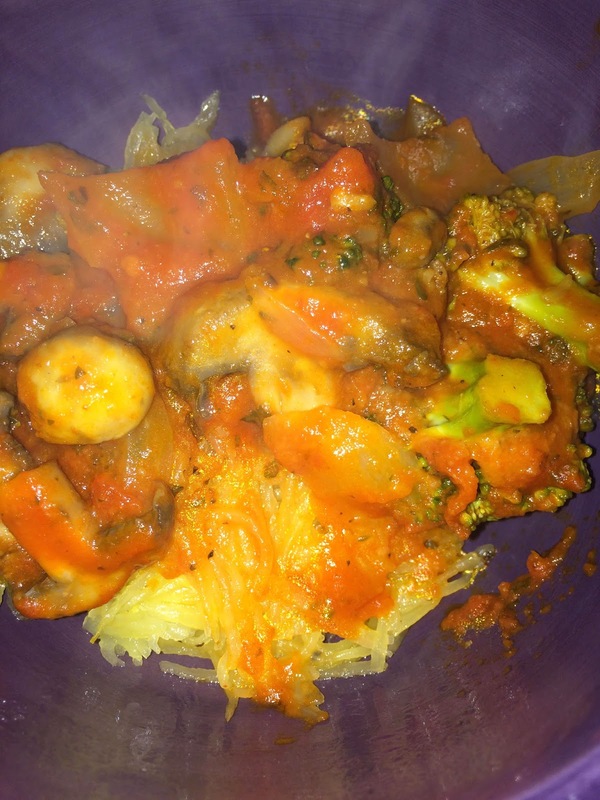 In a pot, I sautéed mushrooms, onions, and broccoli before adding tomato sauce. The next day, I added salmon and spinach to the squash for a new taste, and it was great! 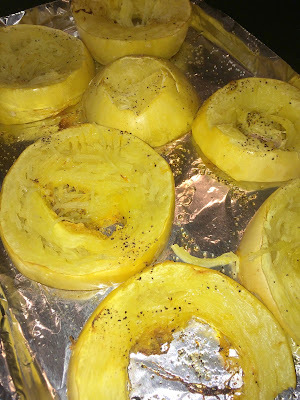 For the second squash, I cut the squash into halves and poured olive oil on each half before baking it in the oven. I found that I had to use more oil in this method to get the squash softer. I also added black pepper and red pepper before baking. After about 15 minutes, I added on spaghetti sauce that I had preheated in a pot. Then, after about 10 minutes, I added on cheese and let it melt on top. The results were beautiful and so tasty! 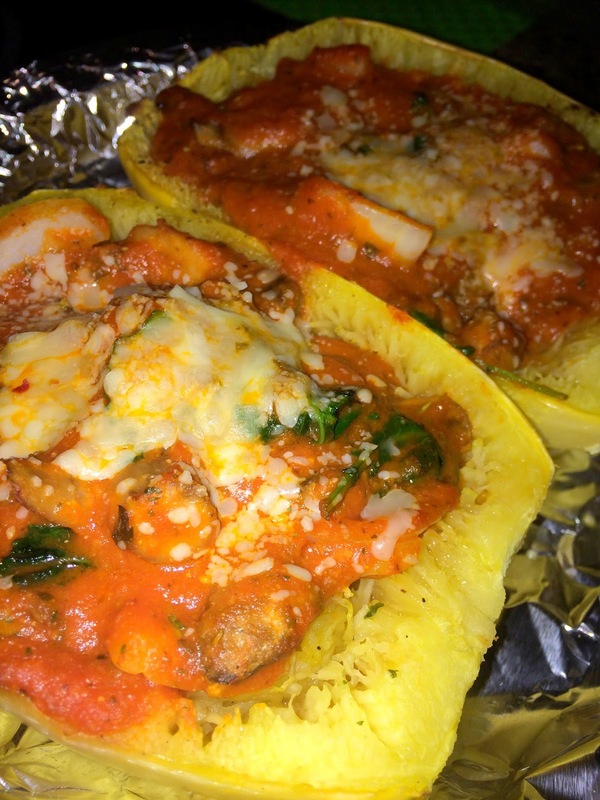 Each of these halves makes 2-3 servings which is great for people looking for a meal that will last throughout the week. 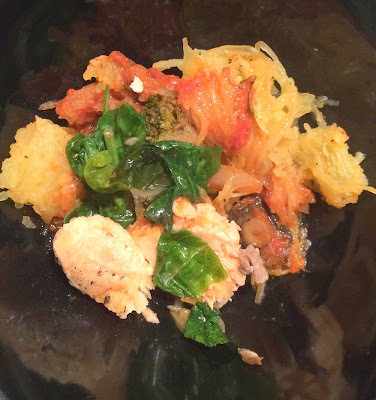 Both versions were so tasty, and tasted unbelievably like actual spaghetti noodles! I definitely suggest making spaghetti squash to be a spaghetti substitute when you have time to let them bake. These squash can be kind of pricey, so I suggest buying them when they're on sale or from a farmer's market. 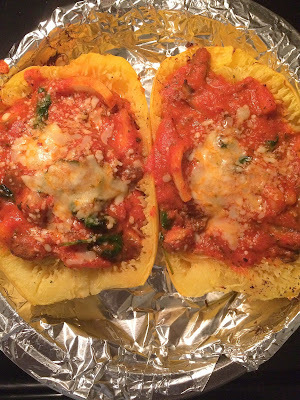 One squash is definitely enough for a few servings. 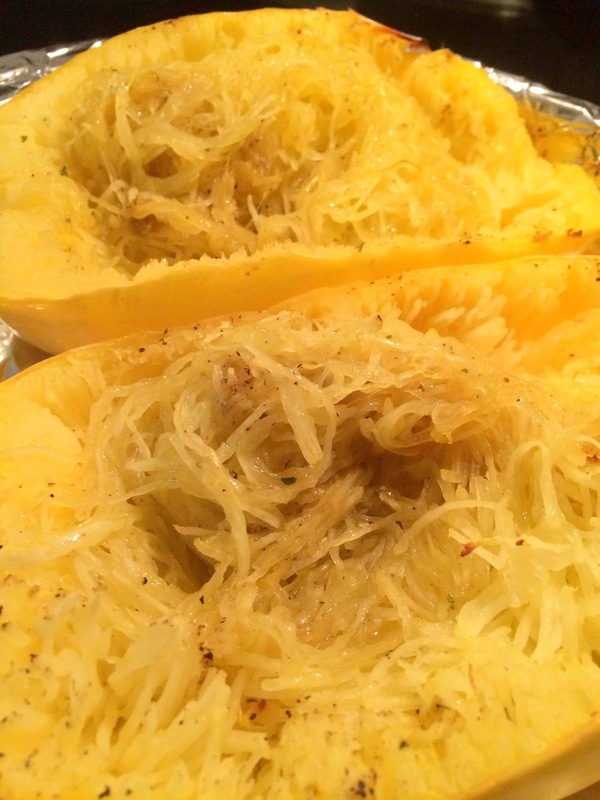 Have you ever made spaghetti squash before, and how was it? Congrats and those photos look yummy! Please believe that you are missed. 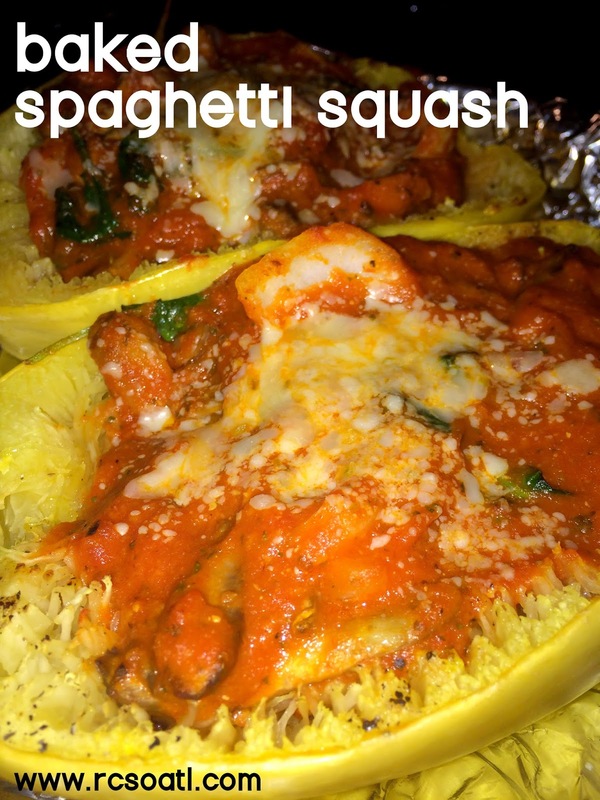 Yummy, I am doing a no wheat, no white diet and this would be an awesome way to incorporate squash into my diet.